Mamonde, the flower expert in its recent breakthrough has discovered that the Damask Rose contains soothing and moisturizing properties that can help soften rough, flaky skin for a clearer and vibrant complexion. This has led to the formulation of Mamonde’s latest Rose Water Line, which includes the Rose Water Toner, Rose Water Toner Pad and Rose Water Gel Cream and Rose Water Soothing Gel, all of which are suitable for all skin types. There are many different species of rose, but the most precious of hundreds of rose varieties is the Damask Rose. The beauty of the Damask rose is more than meets the eye. The wonderful scent of the Damask rose is commonly used to make perfume and its aromatic as well as its flavourful oil extracted from their petals possesses culinary, cosmetic as well as medicinal uses. Infused with 90.97% rose water, Mamonde Rose Water Toner helps provide excellent soothing and moisturizing care for the skin. When applied, it absorbs into the skin and immediately softens rough, flaky skin to reveal a clear and vibrant complexion. 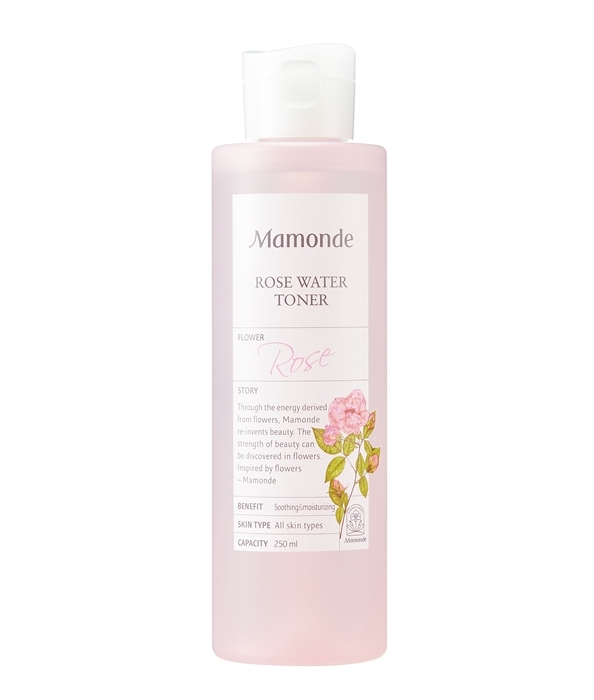 Through a clinical test conducted by Mamonde, the Rose Water Toner has been proven to be the best toner for 7-skin method1 as there is a significant increase (up to 182%) of the skin’s moisture capacity when tested on the skin. • 7-step toner layering to achieve soothing and moisturizing effects for the skin). 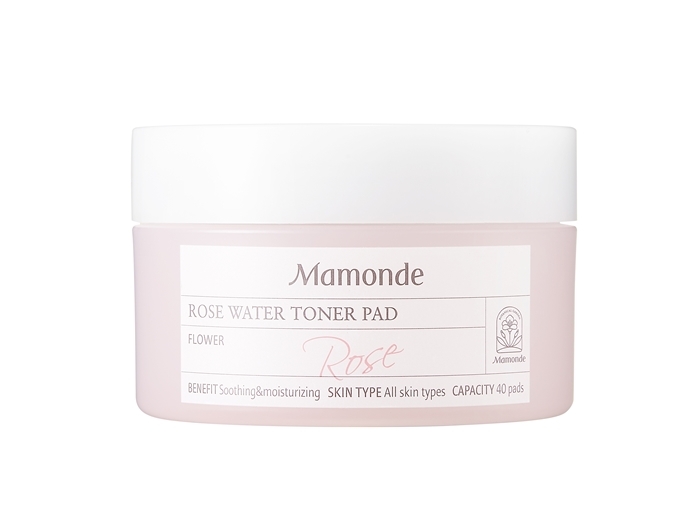 This is a rosy pad soaked in Rose Water Toner that can be used as a toner or a sheet mask. Functions are similar of the Rose Water Toner, it provides excellent soothing and moisturizing care for the skin. The Rose Water Toner Pad is ultra-lightweight and mesh. Upon application, the rose pad fits closely to the skin to remove dead skin cells and aid in delivering the rose water deeper into the skin. Take out the pad and place it on the forehead, cheeks and chin like a sheet mask. Remove after 10-15 minutes, and lightly dab the remainder on the skin to help it absorb. If you are in a hurry, you can always use the rose water toner pad when you are drying your hair or when you are putting on a lip makeup. A refreshing moisturizing cream effective for soothing and intensive skin moisturizing care. 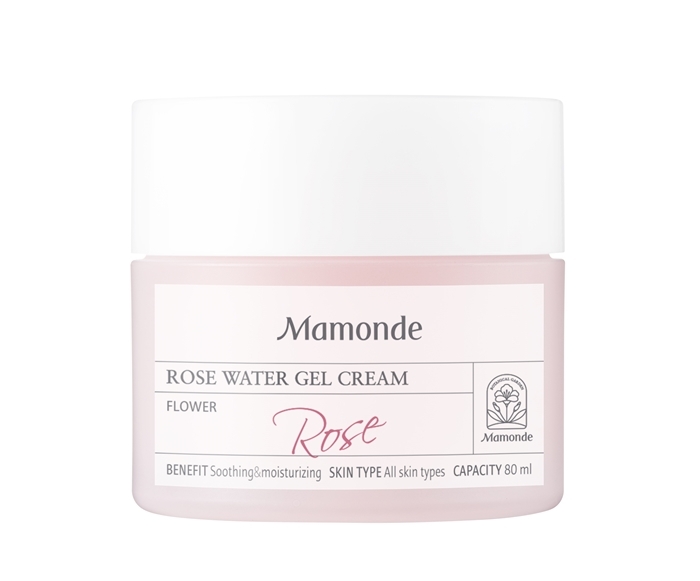 The Rose Water Gel Cream is light-weight and has a non-sticky texture. When applied, it forms a moisture barrier on the skin and keeps the skin hydrated for an extended time. To achieve optimum result, use the Rose Water Toner/Rose Water Toner Pad followed by the Rose Water Gel Cream for a double-layered moisturising effect that will result in a smooth and dewy skin inside out. After using the toner, apply the Rose Water Gel Cream along the skin texture using an adequate amount and gently dab to help the skin absorb. The Rose Water Gel Cream is free of animal ingredients, mineral oil, polyacrylamide, Imidazolidinyl urea (an antimocrobial preservative), triethanolamine, coal-tar dyes and PEG-based surfactant. The Mamonde Rose Water Soothing Gel is a multi-purpose soothing gel infused with 90.81% of rose water that penetrates quickly onto skin and provides the skin with rich moisture. It comes with rose fragrance and a cooling formula to help soothe dry and tired skin on the face, hair and body. 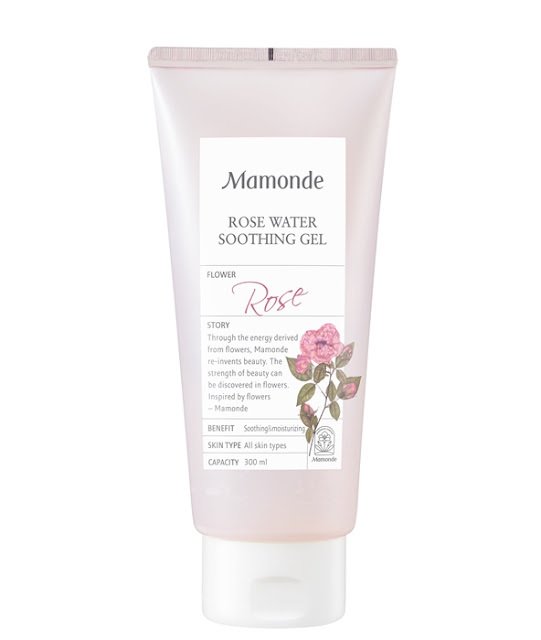 Mamonde Rose Water Line is free from the following: animal ingredients, mineral oil, polyacrylamide, Imidazolidinyl urea (an antimocrobial preservative), triethanolamine, silicone oil and synthetic colour.